The summer slowdown affecting financial trading monthly metrics was invisible in US equity markets as one of the largest ECNs saw a sharp jump in trading volumes. July became a historic month for the venue as it surpassed its pervious value of trades and became the world’s largest stock exchange operator for the first time. The rise in activity comes as traders reinvest funds back into rising stock markets. 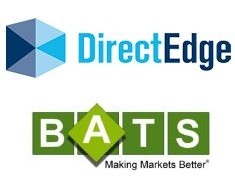 BATS Global Markets (BATS), the operator of financial exchanges in the United States and Europe, has reported its July U.S. equities market figures. In July its market share was 20.3% and in European equities its market share reached 21.5%, both figures rising on a MoM basis. In July, the operator saw the total value of trading volumes cross one trillion dollars for the month, with $1.27 trillion traded. US equities have been bearing the fruit of a difficult global marketplace for investors with troubles in the Russia-Ukraine conflict heightening, and a new wave of uncertainty in the Middle East. US indices performed well in June with all five benchmarks trading in the green, however July data shows the Dow Jones Industrial Average Index declined 1.44% and the S&P 500 Index ended lower by 1.38%. BATS was formed in 2005 as an alternative trading venue that brought forward new technologies to the stock market. The firm announced a merger with rival Direct Edge last year, thus adding to its arsenal of solutions for traders. The group now ranks as the largest operator ahead of its peers. In July, the Intercontinental Exchange saw $1.21 trillion in trading volumes and Nasdaq OMX saw $1.1 trillion pass its systems during the month. Specifics in the firm’s notification show the detailed breakdown of activity in the month. In the U.S., BATS earned 20.3% U.S. equities market share in July, higher than 9.6% a year ago and 19.2% in June. BATS Options recorded 4.1% market share vs. 4.3% one year ago and 3.9% in June. Across the Atlantic, the firm runs a number of trading venues, BATS Europe and Chi-X Europe, two of the most liquid multilateral trading facilities (MTFs). BATS Chi-X Europe metrics for the month shows that it finished with an overall market share of 21.5% with year-on-year increases in key small and mid-cap indices including the FTSE 250 (up 4.4%); the CAC Next20 (up 42.6%); the SDAX (up 22.9%); the AMX (up 10.9%) and the SMIM (up 10.1%). BATS Chi-X Europe became the first European MTF to gain status as a Recognised Investment Exchange (RIE) in May 2013. BATS Global Markets’ US division has been holding talks with regulatory authorities on matters related to high-frequency trading. The multi-venue group of companies is in negotiations with the US financial watchdog regarding incidents at Direct Edge. The claim against Direct Edge states that it provided unfair advantages to high-frequency traders, according to a person familiar with the matter, the media reports. The firm’s Chief Executive Officer, Joe Ratterman, issued a testimony on the 8th of July in front of the U.S Senate Banking Committee. During the briefing Mr Ratterman stated: “While our current equity market structure is certainly not perfect, I believe that it is by far the fairest, most efficient and most liquid market in the world. And because it is a complex ecosystem, policy-makers need to be mindful of the potential unintended consequences of sudden, significant changes.